About - Purnell Energy Services Ltd.
Purnell Energy Services Ltd. (PES) supplies the necessary talent and equipment to build well site facilities, the pipelines associated with these facilities and the oil batteries and compressor stations associated with the gathering system. PES also has the expertise and knowledge to assist the producing companies in the operation and maintenance of these facilities and pipelines. Owner and Director Nathan Purnell has established his career in the Oil and Gas Industry over the last 20 years and has worked both provincially in Alberta/Saskatchewan and internationally. Nathan and his team of professionals maintain a solid reputation of providing exceptional skill and knowledge throughout the construction of pipelines and facilities and have a sound understanding of the codes and practices associated with the energy sector. The incorporation of their backgrounds, training and knowledge of the industry from the ground up provides customers with the satisfaction of a job completed safely and efficiently. PES is located in Grande Prairie’s Brochu Industrial Area at 10502 – 123 Street. 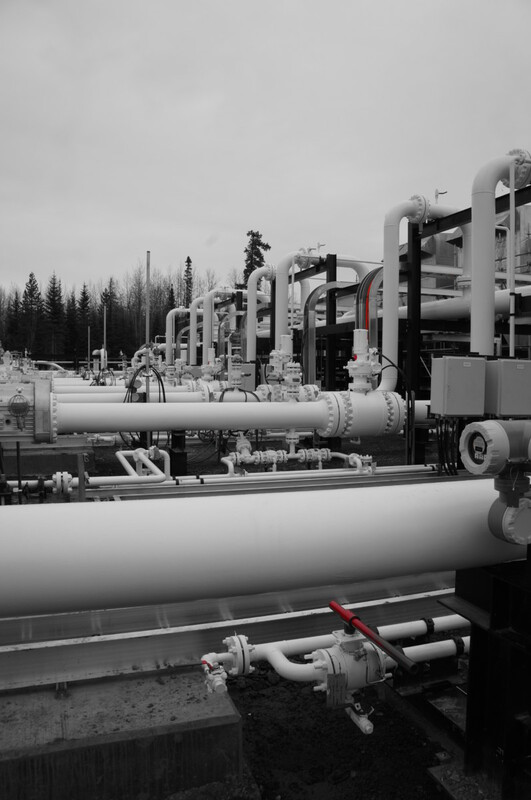 From this facility we are able to fabricate and hydro test piping systems indoors, facilitate large modular projects and complete x-ray and inspection. We are centrally located to most of the major supply companies in Grande Prairie.